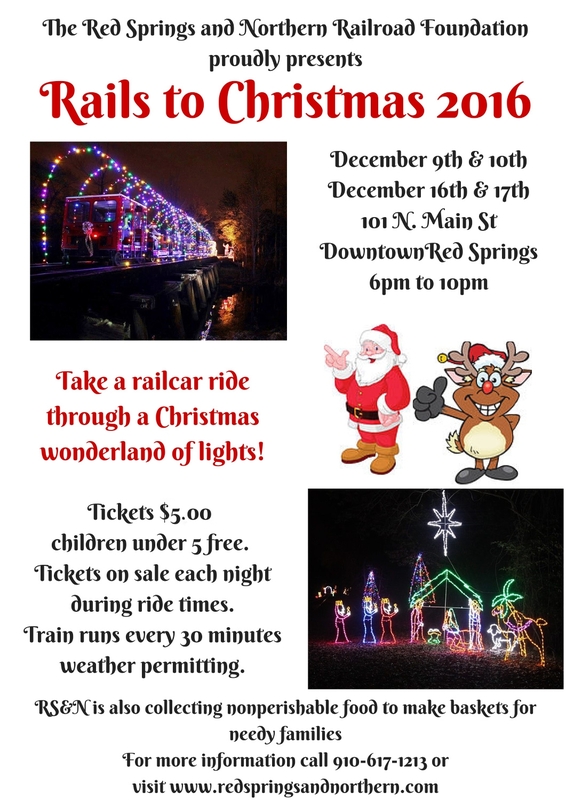 Please join us for our 2016 Rails to Christmas railcar rides in downtown Red Springs. Tickets are $5.00 per person with children under 5 years of age free. We will be collecting nonperishable food to make Christmas food baskets for needy families in the area. Donations of canned vegetable/fruit goods, canned hams, stuffing mix, corn bread mix, cake mix, etc. would be greatly appreciated. We look forward to celebrating the holiday season with you.